Although the Internet is a global tool, it can also be extremely focused and local. With careful planning and expert advice, you can appeal to people in your local area in a more cost-effective way than local newspaper advertising or flyer. 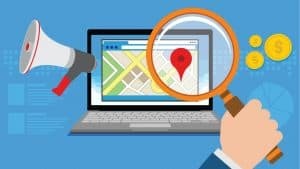 It’s a process known a search engine optimization: increasing the chances that people looking for a local provider will find your site. The first step is to work out exactly who your target audience is and exactly where it’s based. In some cases it can be simple: a lawyer specializing in Minnesota housing rules doesn’t need to reach people in Indiana. In other cases it can be more difficult: a store owner needs to work out how far shoppers are likely to travel, while a contractor needs to decide what areas he or she can realistically serve. Choosing the right keywords to target is important. It’s all about what words people type into search engines so you need to think from your customer’s viewpoint. For example, somebody looking for a roofing contractor might actually search for “fix my broken roof” instead. Specialist tools and services that can help you figure out the best words to target. You’ve probably heard the saying “content is king” and it’s true. Google recently changed its policies so it’s much more likely to rank your site higher if you have articles and other content that genuinely help and inform the reader. You can get double benefits here: for example, advice articles on your site can not only boost your Google ranking but can establish you as the local expert in your profession and might get you a TV and newspaper coverage. The big secret of search engines is that they place a great value on how many sites link to yours. This means you should make sure you are listed on local directory sites. That way you capture the web users who look through these sites but also make yourself more visible to people who simply search. Of course, just like customers use your business to make your life easier, you can get expert help with search engine optimization, leaving you to get on with serving your new-found customers. For some of you readers, many of you grew up looking for solutions or answers to your problems, by either seeking a professional or going to a library. Nowadays, more and more people are using Search Engines and Social Media Channels to look up answers to any given problem or need. Furthermore, these very people are also looking for interesting content to both read and talk about on the web. In order for any business to flourish or succeed, they need drive and bring people towards their website. By implementing Content Marketing, you will be able to receive a permanent source of traffic, leads and sales. Content Marketing also happens to be extremely cost-effective and with the right amount of effort, your content can be the #1 place people go to for questions on specific topics in your industry. 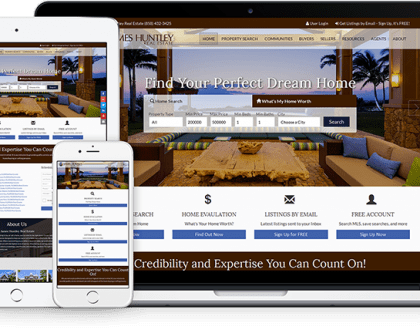 Here’s a real-life example: HOMEiA.com is striving to establish as a go-to place for questions related to buy and sell real estate properties. They make their content so helpful and user-friendly on mobile devices that people love to read, share and talk about them. So, Content Marketing is centered on the creation, publishing and promotion of customized content that is carefully linked to an effective landing page. Once reading your content and clicking on your landing page, visitors will be presented with a call to action that will enable them to subscribe to your e-newsletter or receive additional information on your product, brand, service or company. By publishing and writing creative, high quality and beneficial content, you will capture people’s attention and more importantly, these people will want to look further into what else your company, service or brand is all about or has to offer. Furthermore, by implementing and strategizing a proper keyword strategy, your content and website will boost its own SEO score and as a result, can be placed in prime positioning in Search Engine Results. Finally, after creating your content you must not only publish your content on your website, but also published them on many different article directories and social bookmarking websites. By executing this step in your Content Marketing Campaign, you will build footprints and backlinks for your website and will boost your website’s SEO score even more! Content Marketing is a great way of organically raising your Search Engine Optimization Score. Aside from the fact that content marketing yields traffic, sales and leads, it also brands your website into a trusted authority within your business’s industry. Call us today to further understand the concept of Content Marketing.